Testimonial events will include an evening with Bryan Robson and a testimonial match. Grew first joined the club as goalkeeper back in 1986 and recovered from a horrendous injury in just his third game to play a key part in the 1989 promotion and individually pick up two player of the year awards. He left Vale in 1992 after almost 200 appearances for the Valiants but returned in 1994 to take up a youth coach position. He rose to the position of assistant manager to Brian Horton in 1999 before he was dismissed as a cost cutting exercise as the club went into administration in 2002. He returned after the club came out of administration and spent a spell as caretaker manager after Jim Gannon was sacked. 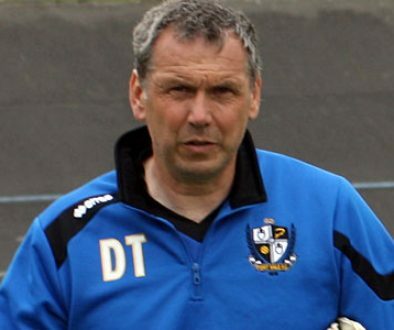 After a spell as assistant to Micky Adams, Grew now coaches the team’s goalkeepers (and must be credited with the rise of Sam Johnson to the first-team) as well as co-ordinating the club’s scouting network. OVF would like to congratulate Mark on 25 years at Vale Park and wish him well for his testimonial.